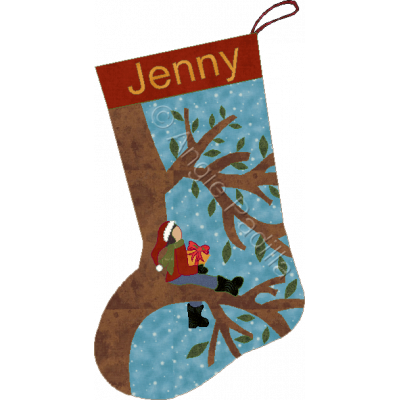 This charming little stocking will be a favorite with children of all ages! 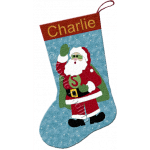 There are a very few small pieces... if they prove challenging, they can always be embroidered! Otherwise this pattern is not difficult at all to sew. 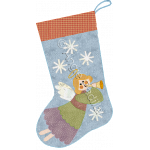 This pattern is available as a downloadable PDF file. 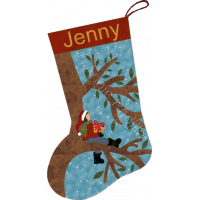 Every family member should have his or her very own stocking, reflecting that person's interests..
For the angel collector, this stocking is charming in its simplicity. 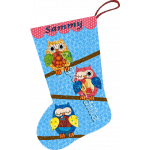 Choose soft, "angelic&quo..
Every owl lover, young and old, deserves a special stocking! Does this one strike your fancy? And ye.. 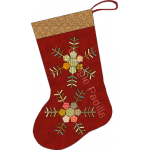 This lovely stocking has appeal for both English paper piecing and applique lovers. 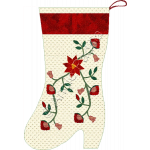 And although sno..
Delicate and feminine, this stocking is perfect for appliqué lovers! Full-size patterns are i..
Is someone you know really into super heroes? Well, his or her collection would not be complete with..